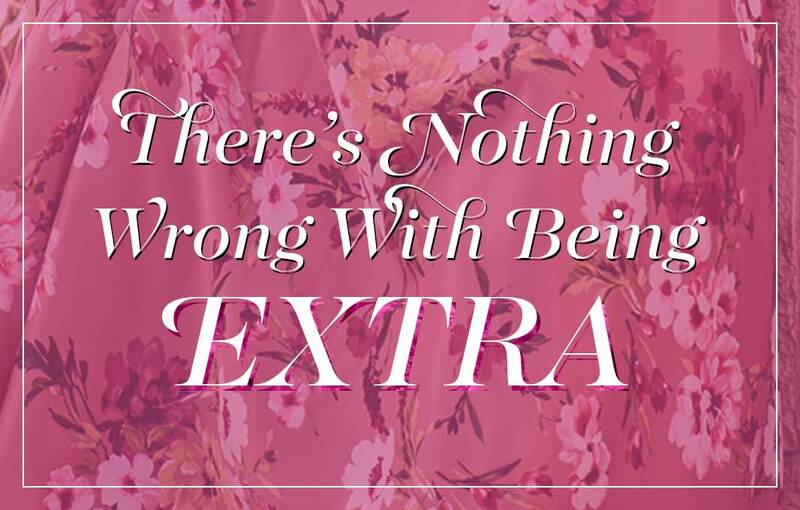 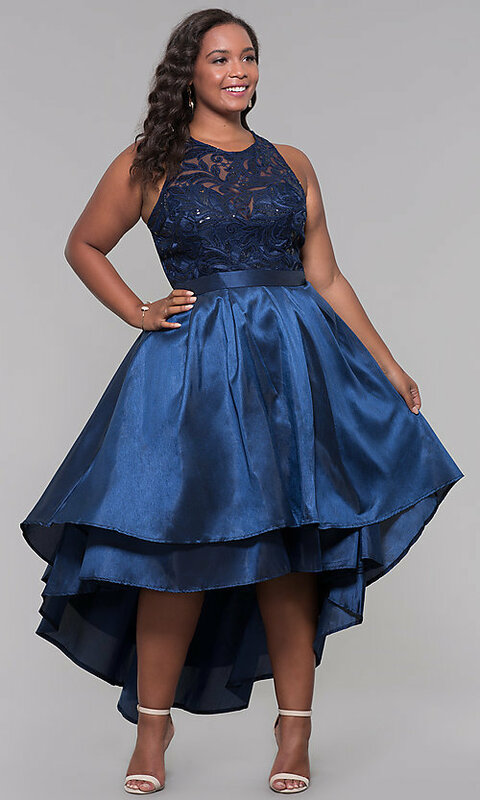 Twirl in this plus-size high-low prom dress at your formal celebration. 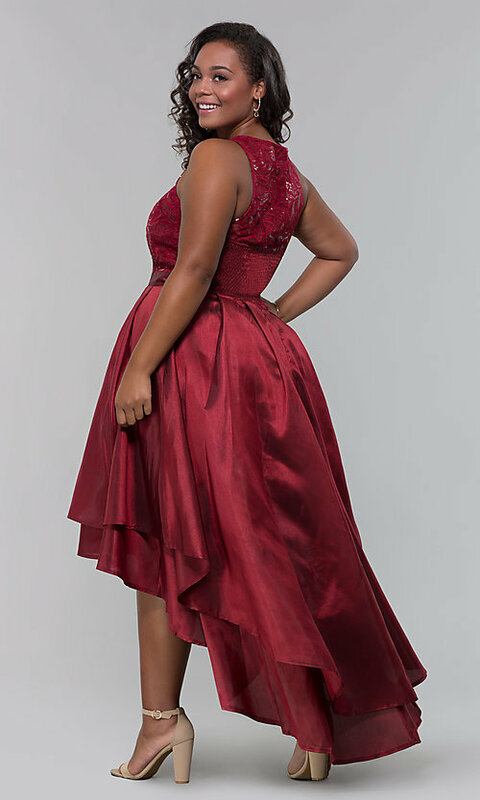 This stunning short dress will attract admiring glances at prom or homecoming. 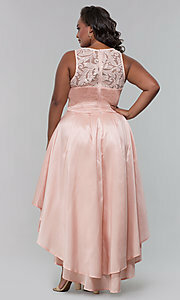 Scattered shimmering sequins accent the sheer-illusion embroidered-lace bodice on this short high-low prom dress. 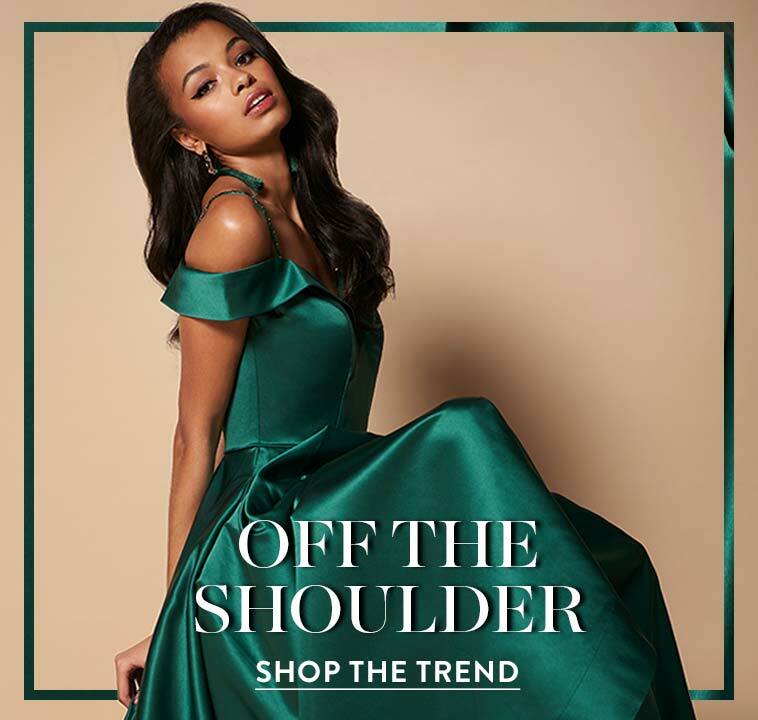 A lovely sweetheart lining can be seen beneath the sheer illusion on the bodice of the sleeveless scoop-neck dress. 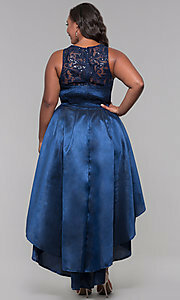 Priced well under $200, this elegant plus-size dress is budget friendly and richly designed. The trending high-low skirt made from shimmering satin falls to a lovely knee-length in front and tapers to a fashionable floor-length in back. 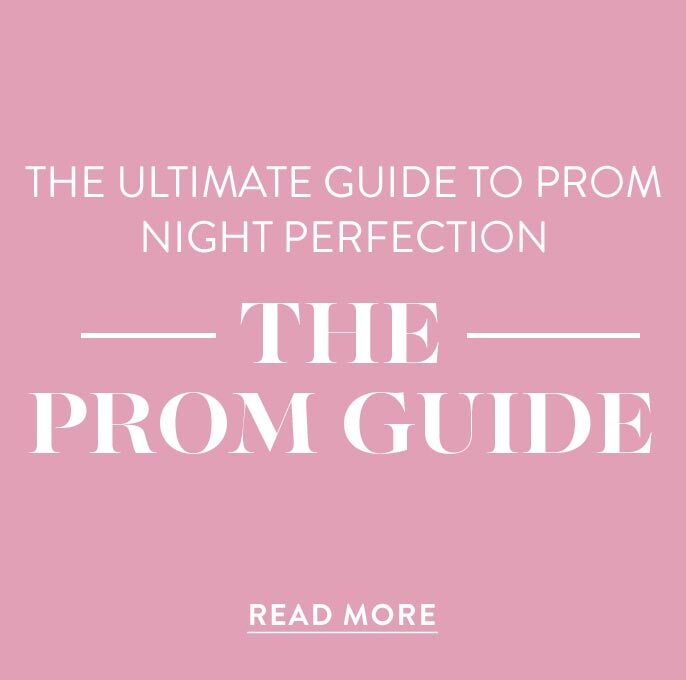 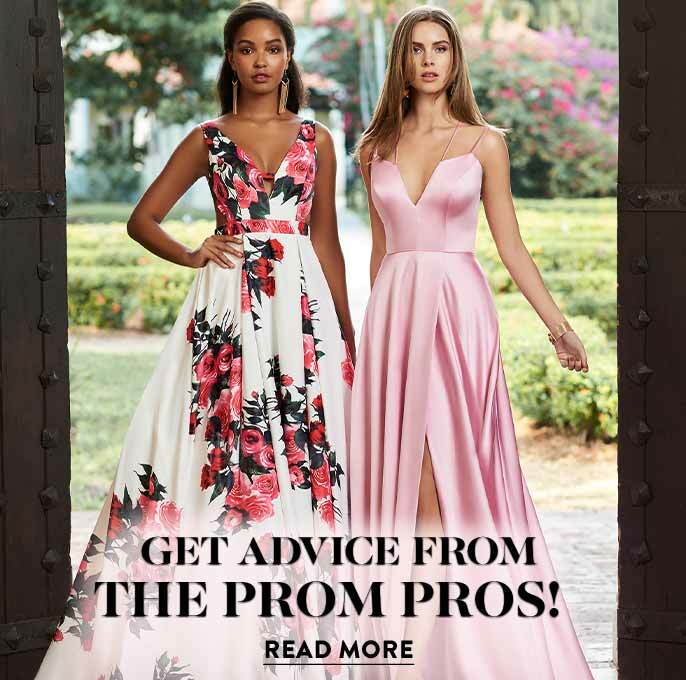 A fashion favorite for prom and semi-formal events, this high-low plus-size prom dress will ensure that you are picture perfect and ready to party.